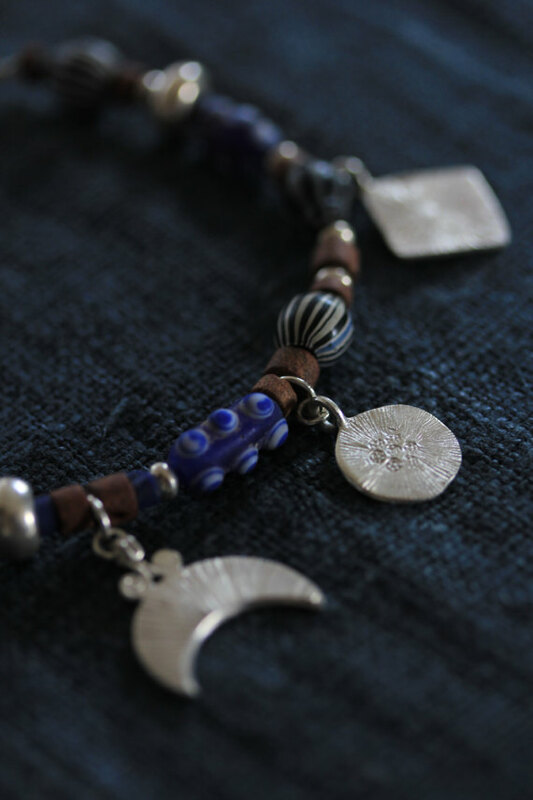 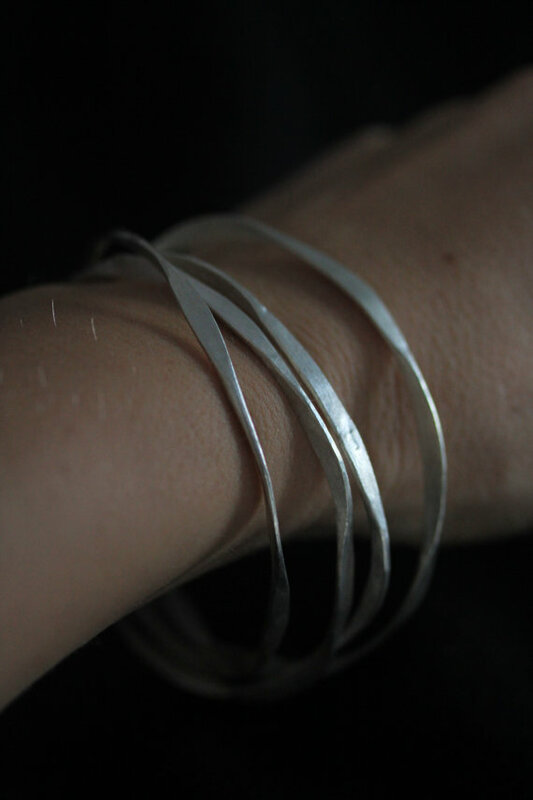 This bracelet is handmade in 98% Silver. 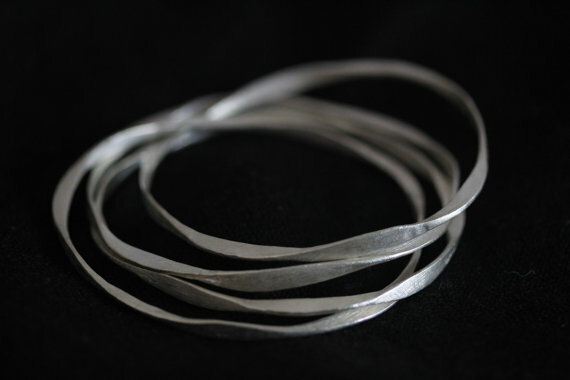 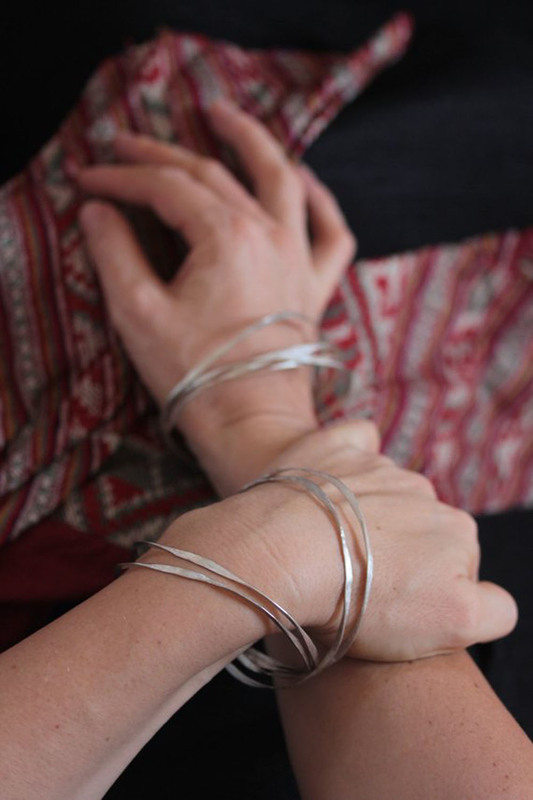 The four bangles are hammered and twisted and then interlocked one to another. 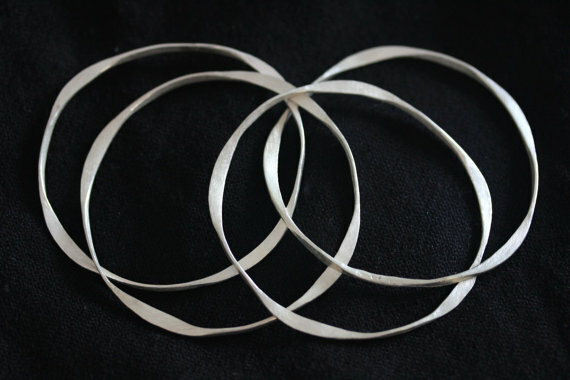 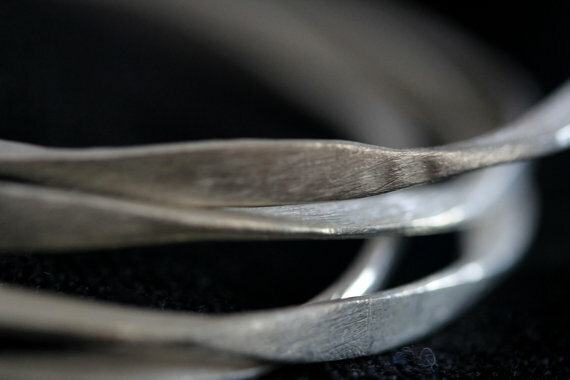 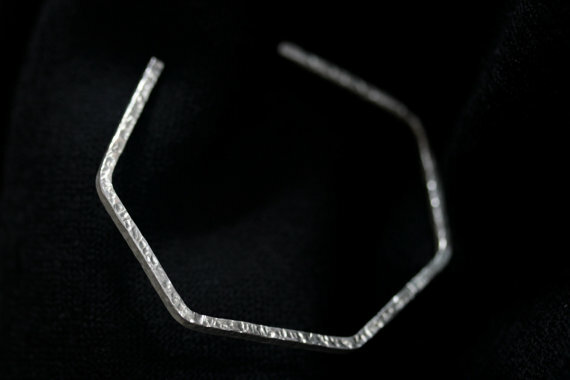 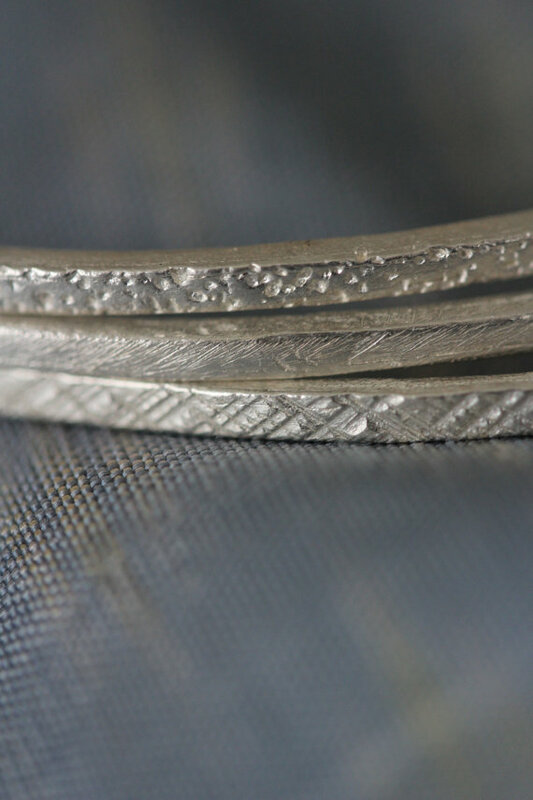 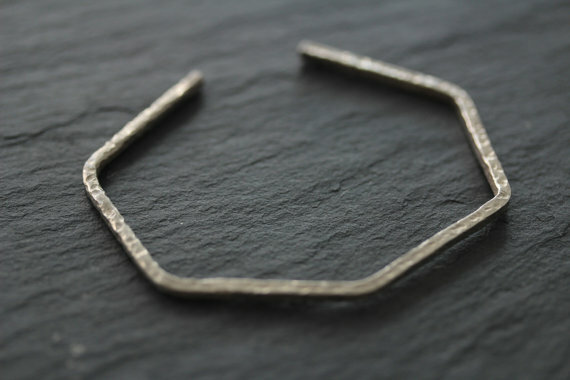 The surface of each bangle is treated to obtain scratched texture. 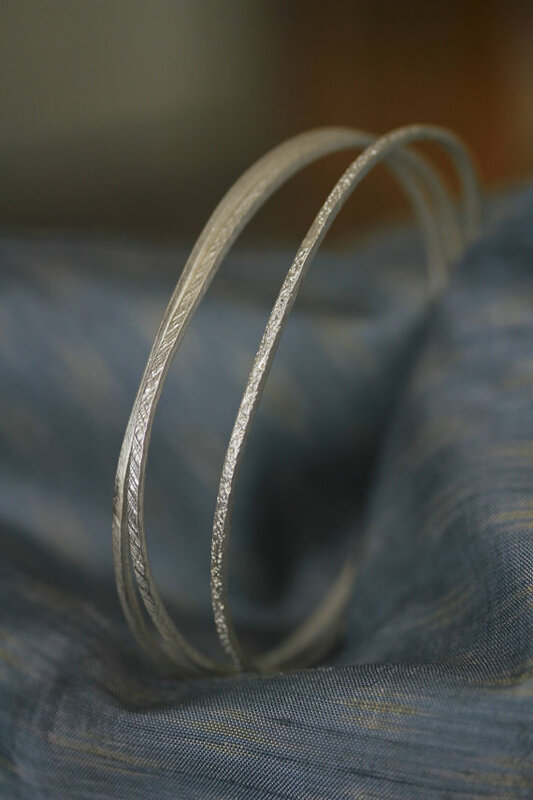 Our products are hand crafted in 98% Silver by Thai Karen hill-tribe artisans by means of traditional tools and techniques. 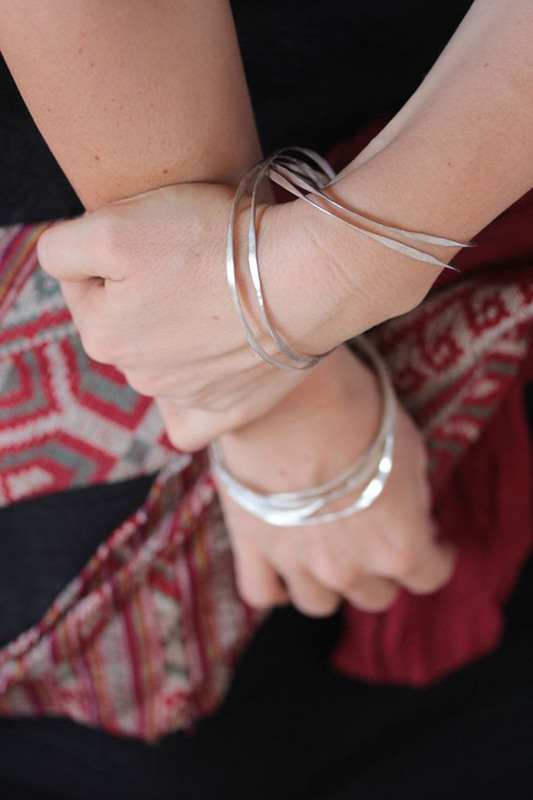 The Karen are a group of ethnic peoples who reside primarily in southern and southeastern Burma and in northern and north-eastern Thailand. 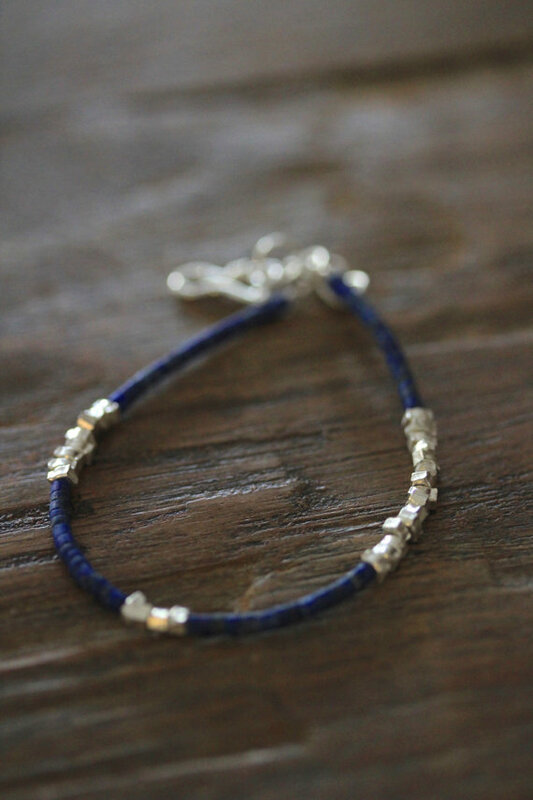 Thai and Burmese hill tribes can be traced back to the 12th century when they are said to have originated from Tibet. 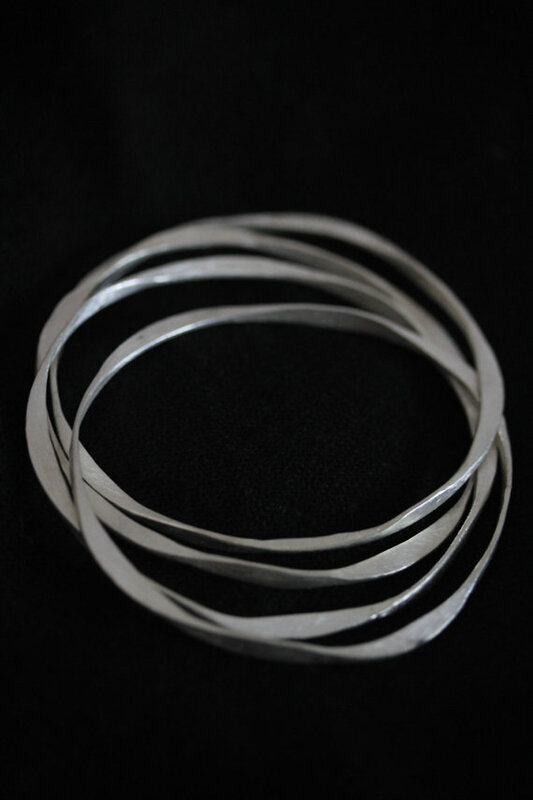 We can make these bangles and have them shipped in about 2-3 weeks after ordering.